Jill was born and raised in Delray Beach, FL and has been practicing dental hygiene since 1986, working previously in Palm Beach and Broward. 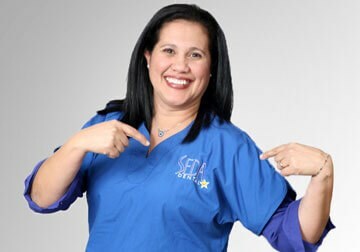 She has been at SEDA Dental in Boynton Beach since October 2004 and enjoys helping our patients maintain a healthy mouth and a beautiful smile. Jill also helps our patients create optimal at-home oral care routines in order to prevent dental conditions. Outside of her work, Jill enjoys outdoor activities, cooking, line dancing, and spending time at the beach. Originally from Maryland, Sima moved to Florida in 1983 and obtained her associate degree in dental hygiene from Palm Beach Community College in 1991. She has been a practicing dental hygienist for 27 years with specialties in both general dentistry and periodontics. Sima has been married for 15 years and has one son. In her spare time, she enjoys being with her family, cooking, baking, volunteering, and going on family vacations, especially to Disney World. As a dental hygienist, Darlenys enjoys educating her patients on ways they can improve and maintain their oral health. She also provides dental cleanings as a form of preventive dental care. At SEDA Dental in Boynton Beach, Darlenys is available to answer any questions that patients may have about their dental health and their treatment options. Ana is originally from Venezuela but moved to Florida 12 years ago. She started working in the dental field while she was still in high school. From there, she decided to continue her education and went to school to become a certified dental assistant. Ana loves what she does and enjoys meeting new patients. Madelon was born in Brazil but was raised in Boston, MA and relocated to Florida in 2013. She is fluent in English, Portuguese and Spanish, which has enabled her to better connect with clients on a daily basis. She's been in the dental field for approximately seven years and has extensive experience in administrative work and customer service. She joined SEDA back in January of 2014 and has fully enjoyed working with a team that is solely dedicated to every client’s well-being. Michelle moved to Florida 15 years ago and thoroughly enjoys the warm weather and tropical environment. Her goal is to make patients feel comfortable at every step of their treatment process and that they leave with a greater understanding on how to best care for their smile. Her hobbies include refurbishing furniture and spending time with family and friends. 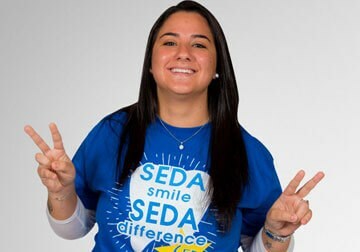 Caitlyn moved to Boynton Beach three years ago and loves being a part of the SEDA team. Her goal is to provide patients with excellent customer service and to make sure the office runs smoothly. She is responsible for a wide variety of logistical tasks and oversees our office with great attention to detail. Her hobbies include taking vacations with her husband and trying out new restaurants. Lucila's focus is to do her job with patience, love, and honesty. 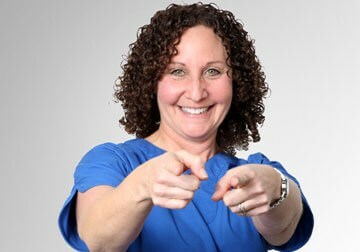 She thoroughly enjoys getting to meet new clients and helping them understand their oral health for better results. She also provides exceptional support to our dentists and hygienists. Lucila is very outgoing and her positive attitude is so contagious. Her hobbies include reading and painting. Lucelia is originally from Venezuela and moved to the United States seven years ago. 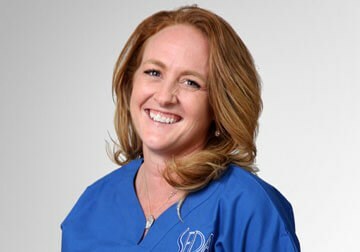 She is responsible for a wide variety of tasks including maintaining the cleanliness of our treatment rooms, prepping patients for their dental procedures, and assisting our dental staff. She loves living in Florida and enjoys going to the movies. Marissa's goal is to provide excellent customer service to our patients and visitors the moment they step into our office. She has been an administrator in the dental field for 17 years and brings a wealth of knowledge to our practice. In her free time, she enjoys cooking and going to the beach. 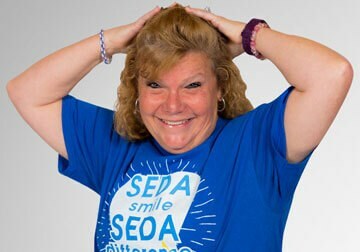 Our team at SEDA Dental of Boynton Beach, FL works to provide optimal care in order to help patients improve and/or maintain their oral health.